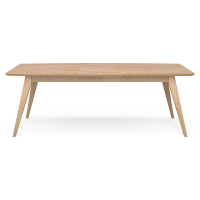 At Brosa, we have a collection of 6-seater dining tables in a variety of styles and shapes to suit your existing dining room furniture. Choose natural woods for your Scandi-inspired room or go for contrasting materials to fit in with your Industrial or Contemporary space. With 6-seater dining tables, you can mix and match your dining set to best serve your needs. You can go traditional with 6 matching dining chairs around the table. But why not experiment with a dining bench or two to optimise the space when you have more guests over? And if you’re big on entertaining? 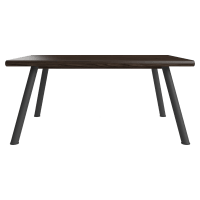 An extendable dining table will be the best investment you’ll ever make. At Brosa, we invest in the best quality designer pieces to deliver to you at more affordable prices. 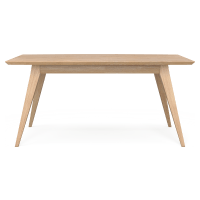 Our 6-seater dining tables are crafted by expert artisans and made from the best materials we can find. 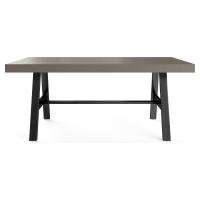 If you’re committed to a dining table that will last thousands of family dinners, browse our collection of 6-seater dining tables online at Brosa today.